I’ve come to smile about the fact that my antenatal/postnatal story is not one that fits in most of the text books. I had no real bump to show, I had a breach baby (with questionable growth), I found it hard to believe there was actually a baby inside of me, I had a c-section, and I formula fed! I’ve written a little about it before in this post. 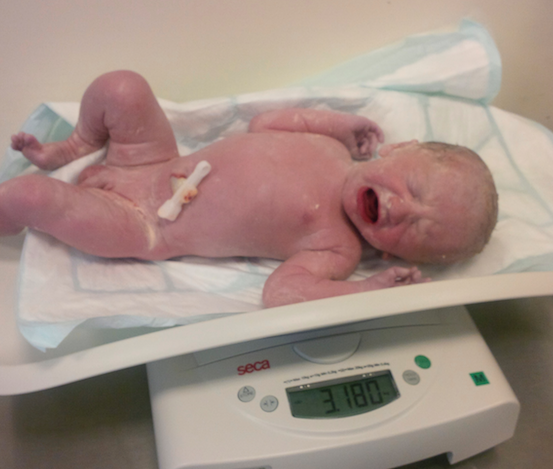 Reuben was born by c-section, as he was breach. It’s what they term an ‘elective section’, although in truth I’m not sure how much I ‘elected’ to have it – in that a c-section was the medical course for a breach baby. But anyway, the date was given and I was prepared…well sort of! I had an amazing medical team look after me, in preparation for and during the surgery. It’s safe to say that I was not looking forward to it – “for those of you who don’t know, I have a MAJOR phobia of all things medical…a c-section was a major hurdle for me to accept I needed to get over. The day before, as the Consultant explained what it involved, I burst into hysterical tears, simply because I was so disgusted by the description of what was to happen to me.” I had also googled (stupid idea) and read far to many horror stories, that, of course, made me even more on edge. But the team were excellent and dealt with my fears in a superb manner. I cannot speak highly enough of them. From the information given before the procedure, the ease and care with which they put the needle into my spine, to the tea and toast in recovery. And, the needle in my spine was not that bad – yes it sounded awful, but it was ok…this coming from me! They made being sliced across in the middle so much less drastic and dramatic than it sounds. Alongside the surgery tales, I’d read many accounts of how hard it was to recover, after the operation. But thankfully, I did not find that to be the case. I walked home, five minutes across the road (okay maybe ten, as I was slower than normal!) 24 hours after. I took the painkillers – 800mg ibuprofen – for the first week and that was me. Yes, of course it was sore. I was very uncomfortable during the first week – worst when I was lying in bed and trying to sit up to look over into the Moses Basket, or lift Reuben into me, but nothing that was agony or unbearable. I was back walking alone, now with the buggy, the second week, although a good bit slower than before giving birth. When the scar rubbed against my joggers it was unpleasant, but more in the way of a dull headache rather than a full-blown migraine. It took me a few weeks to want to wear my jeans and jeggings, as the scar area was swollen, but once in them again I never looked back. From time to time, over the first few months my tummy would twinge with pain, worst case I’d take some paracetamol. I don’t remember ever not being able to do anything, other than drive, that I really wanted to post-surgery. In fact others were more concerned about was I was able to do, than I was. It honestly wasn’t as bad as I had imagined or anything like most of what I’d read. 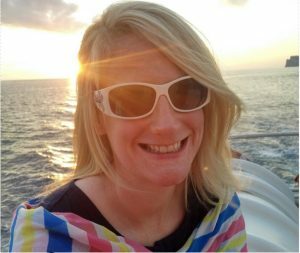 I know there are many who have really difficult physical experiences – surgery and recovery wise, thankfully I was not one of them. On the other hand, I’m not sure the c-section was best for my mental health. 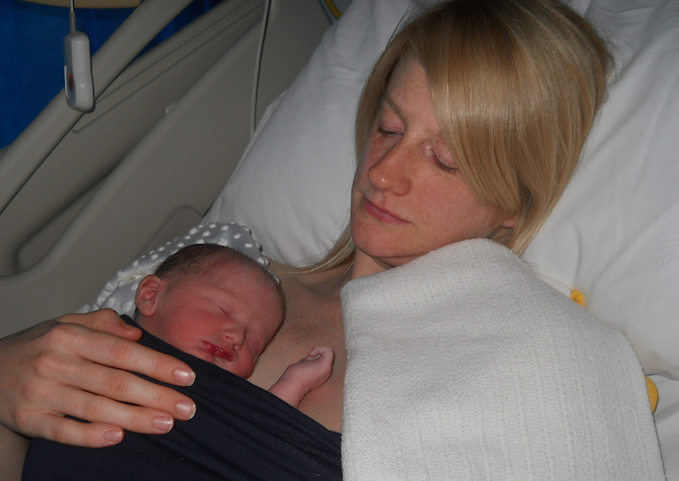 Now please do not get me wrong – having a c-section did not cause me to have PND. I am not suggesting there is a general link between the two – there’s no evidence at all to support that, as far as I know. But for me, I’m convinced it did not help. By the time I met the operating table, I now realise, I had antenatal depression. I had no excitement or joy with being pregnant and moved between anxiety to disbelief that there really was a baby in my tummy. I think the c-section played into that last one, in a major way. Suddenly, after a bit of tugging and pulling, this baby appeared over the curtain with everyone claiming it belonged to me. I still remember looking at him, as they held him to my side, thinking “oh! so that’s a baby, but it’s not my baby, it can’t be”. That feeling, that fear, that believe, didn’t leave me and was a big part of my PND. The c-section, didn’t spark that, as I said – it was there during my pregnancy, but I do wonder if it fed it? I’ve often pondered if I would have connected with Reuben differently, as he was born, if I had ‘laboured’ to bring him into this world. I do think there is something ‘natural’ about the process of giving birth and very significant in bonding mother and baby, that we missed out on. Would I have responded in a different way, had I been handed him after pushing, delighted to finally see his little face in this world? Would that have helped to crack my disbelief or at least put a dent in it? 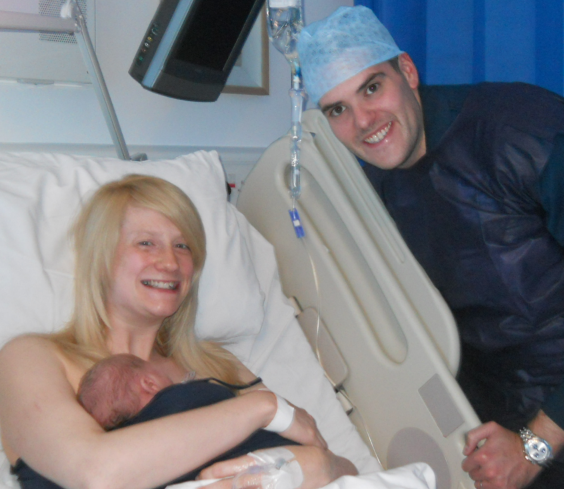 The word I was use to describe Reuben’s birth is ‘clinical’ – I’m not sure that would be the same in a ‘home from home’ suite or water birth pool. Having a c-section has not only left me wondering if I missed out on something very important, and life changing, where Reuben’s entrance into this world is concerned, it’s also made me feel disconnected from other mums. I have no idea what labour is like, it’s likely that I never will. When others chat and share stories, I don’t even understand half of what they are referring to – I could not even tell you how the labour progresses or what might/should happen, at what point. I’m as ignorant as I was before I was pregnant. Sometimes that makes me feel less of a women and less of a mum, even though I am definitely both. The c-section also affected how I bonded with Reuben in the first 24 hours, post surgery, while still in hospital. As I’d just had major surgery, and been numbed from the waist down, I wasn’t allowed to do anything with the baby myself. That meant someone had to hand him to me and take him off me, to put him in the cot, as I lay in the bed like Lady Muck! That was ok while the visitors were about – and he was passed from pillar to post anyway. But when everyone left and the night set it, it was a disaster. I could not lift my own baby when he cried, change his nappy when he needed, or hold him close for a cuddle. A midwife had to be there and had to be called to come. Yes, I know they were busy and I’m sure mine was probably professional, but warmth and compassion were not high on her agenda. I felt like I was a burden when I had to call her constantly, because, Reuben not me, needed something. I actually remember wanting to hold onto him for longer and cuddle him in, by myself, with no ‘eyes on me’ but I wasn’t allowed. She had to leave and I couldn’t be left with him, in my arms, without supervision. Yes, yes I know, it’s a safety thing. But it did NOTHING to allow me time and space to meet my little son on our own terms. It did nothing to boast my confidence or self belief that I was his mum and had a say in how he would interact with the world around him. When he cried, or needed something, in the night, I panicked, as I knew I’d have to get the midwife to come to and she didn’t always greet us in a way the encouraged me to call again! The c-section definitely didn’t help breastfeeding – again I could not be left alone so the midwife hovered in the cubicle. I just could not cope with being crowded, with all else that was going on in my head. That meant that by the time the breakfast came round at 630am, I had made up my mind that I was going home that day, I was going to formula feed and I had probably made the biggest mistake of my life, in becoming a mum. As I have already said, having a c-section did not cause me to have PND but I am determined it did not help. On the other hand, having a c-section meant that Reuben was born safely, and we both were physically well after the process – that’s no small thing. Would I do anything differently, if I could turn back time? That’s a hard question. But I am convinced, if I had some idea of what antenatal and postnatal depression is and how it presents, when I was pregnant, I could of asked for help before Reuben entered the world. Perhaps, then, my story would be a very different one? Had there been real, personal time given, in antenatal classes and educational information, to mental health and emotional health, then I might not be where I am today. There is no question as to whether I wish I could turn back the clock and not have PND – I would do that in a heart beat. But it’s not an option, so I want to make sure some good comes from this mess. That’s why am I so fixed on raising awareness of Perinatal Mental Health and helping women to get all the support they need.